A few weeks ago, the husband and I returned from our second vacation of the summer. In early June, we traveled to Florida with my family. We invaded a 15th floor condo, beach bummed all day, mediated spats between boys ages 6 and 3, and read the same two Bearenstein Bears books over and over again to those boys. We ate out a ton, and then bummed it some more. This has always been my family’s picture of vacation. It’s not that we’re inactive or unwilling to hike trails or cruise on the lake or visit historical monuments. We just seem to be our best selves, together, when we have emotional and mental space that only the beach seems to bring. It was lovely. Three weeks later, we left for another vacation – again to Florida – but with Thomas’ side of the family. I learned to paddle board, despite not being able to stand for more than 10 seconds in the ocean. We kayaked in the bay, and laughed and cheered as Delilah pranced her way through and over low waves that lapped up hard against her chest. And we bought way more ice cream and waffle cones than we needed. This vacation, too, was meaningful in very distinct ways. The first trip challenged the subconscious urge to check social media and email and instead dedicate myself to one novel. I wanted to slow down, and write more and remember what it was like to simply be without accomplishing something. The second trip emphasized people. We now only see some family members a few times a year, so those were days to enjoy each other, catch up and do as families do. And because I didn’t want to be left out, I ended up hopping on a paddle board, too. You’ll hear sometimes that photographers view life through a lens, mentally capturing important moments. I began noticing in high school that I perceive these moments as pieces of narrative – small snippets of eloquent language that appear on a simple, imagined pages. Not so coincidentally, I experience this when I’m most aware of my surroundings. When I’m quiet and pay attention. Like when I watched my sister-in-law shape her small baby bump with both arms, while my brother wrote out ’16 weeks’ in the sand for a photo op. It was so full of hope, a beautiful sign of my healthy baby niece. 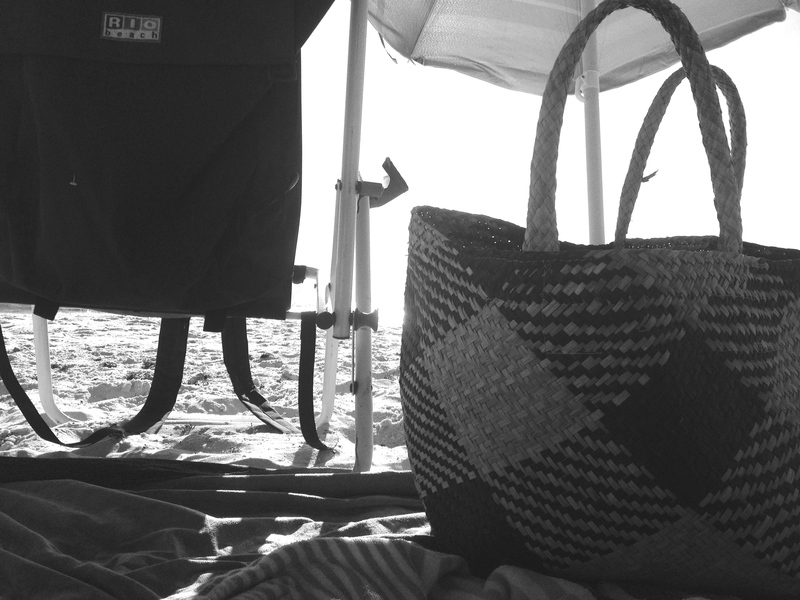 Or the day when we so perfectly timed arriving at the beach just as a rain shower was brewing. The beach was nearly clear of people, except us. We set up all four umbrellas and hunkered down, getting completely drenched. I think we were gloating a little when the sun came out 15 minutes later, the beach to ourselves. At one point as the sun was setting on the second vacation, I laid down on a blanket and just looked up. I was sure I could see the roundness of the earth in the sky. The sunset displayed itself in large ribbons of orange and pink and purple, and it felt all at once like a corny moment, and a sacred one. Simply because I was quiet and looked around. This method of perceiving the world can be humorous. Like deciding to drive 14 hours through the night to get home early in the morning. 7pm felt like adventure. I took the first shift of driving, and I was chatty. Excited to be on the road and looking ahead to an entire relaxed day to myself. 10pm felt like bedtime. I questioned whether I’d be able to make it to midnight, and whether we should just get a hotel for the night. And then it was time for Thomas to drive. 3am felt like a craned neck from a poor nap. We snacked on the odd combination of oyster crackers and tropical Skittles. I took over driving again an hour and a half later. 5am felt like a whisper. A slight fog and cooler temperatures greeted me with the blue of early morning. The car was so quiet, with everyone asleep. In one way, it was soothing. In another, it was as if this whisper was more of a taunting. I was so tired. My stomach hurt from weird eating times and lack of sleep, and I so wanted to see home. And when we finally did, it was glorious. Things are not always glamorous, even on vacation, when we will them to be. I often put pressure on vacation – making a mental (or written) list of things I want to achieve, or an emotional state to aim for. But even on vacation, our moments are our moments. And I’ve found that the best ones are a result of quieting things around me, rather than controlling them. Accepting them, rather than trying to find a way around them. Not wishing for something else. Because let’s face it. Tropical Skittles and a dog sleeping in the back seat is a pretty sweet scenario. Even at 3am. I referenced the spring break trip to Savannah in my last post. 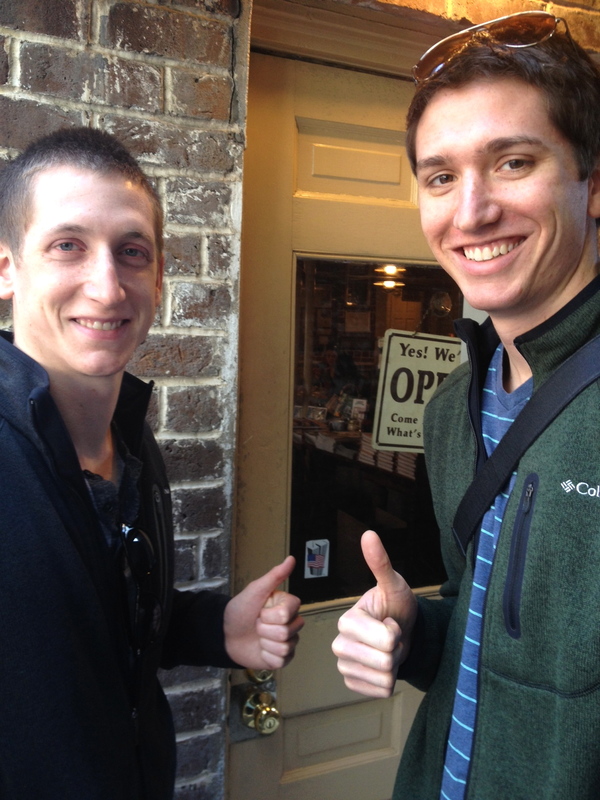 Thomas and I spent last week with his brother, Paul, who moved down to Bluffton, South Carolina this past January. Bluffton is about a half hour from Savannah and twenty minutes from Hilton Head. In other words, it’s a dream. We had a great week of relaxation, sight-seeing and rest from the madness of school. And the mid-60 temperatures didn’t hurt our moods one bit. Because we spent about equal time in each town, it’s probably most efficient to detail the highlights from each place. However, I must start with this gem of a pic. Our first extended stop on the road was in Evansville. Indiana. For some hot, fresh Krispy Kreme’s. It’s sort of Thom’s thing. I’m a Square Donuts person myself (rep the local), but he swore by these – not the ones on the Kroger shelf. I’m now a believer, people. Bluffton is charming. It’s a classic southern town with palm tree-lined streets and gobs of local restaurants. Some of our favorites were Vineyard 55 and breakfast at The Corner Perk, where I had Nutella Stuffed French Toast with Bananas. Made with homemade banana bread. I’m shaming myself now for not taking a picture of the gorgeous thing. I guess I was just so excited to eat. We also explored Old Town Bluffton, which had many art studios and pottery showrooms. We traveled to a couple different beaches. The first was Coligny Beach, which had a bunch of shops and restaurants, in addition to a quaint seating area with adirondack chairs and swings. Thomas and I also found Mitchellville Park, which had a much quieter beach surrounded by marshland. Here’s the man checking out the scene. Our goal for the week was to get a nice bronze. Let’s just say we’re still working on it. Most of our truly unique experiences happened in Savannah. And many of them had to do with food. It’s vacation, right? We visited the renowned ice cream parlor, Leopold’s, more than once. We also braved a two-hour wait on the sidewalk to get into Mrs. Wilkes’, the place for soul food. Sound crazy? Probably was. But worth it. It’s a restaurant in high demand with the hours Monday through Friday 11-2. Once you finally get in the door, there’s a table set for ten with sweet tea and about fifteen bowls of different food on the table, which you pass family style to the others at your table. Fried chicken, BBQ, sweet potatoes, green beans, cream corn, you name it. We were stuffed. Another fun foodie experience came about a bit spontaneously. One evening, Thom and I were watching Man v. Food, a highly classy show about a man who, depending on the episode, either finds the best local food throughout the country or takes on eating challenges. He said he was in Savannah, and our interest piqued as he talked about a place called Zunzi’s and their sandwich called The Conquistador. We decided to hunt the place down the next day, ordered two Conquistadors (described as delicious because of the “two special sauces”) and had a great lunch. A fun adventure, indeed. I also loved just walking around and seeing all the specialized shopping in the city. Tea rooms and furniture showrooms and spice shops and a honey shop! Honey, all. 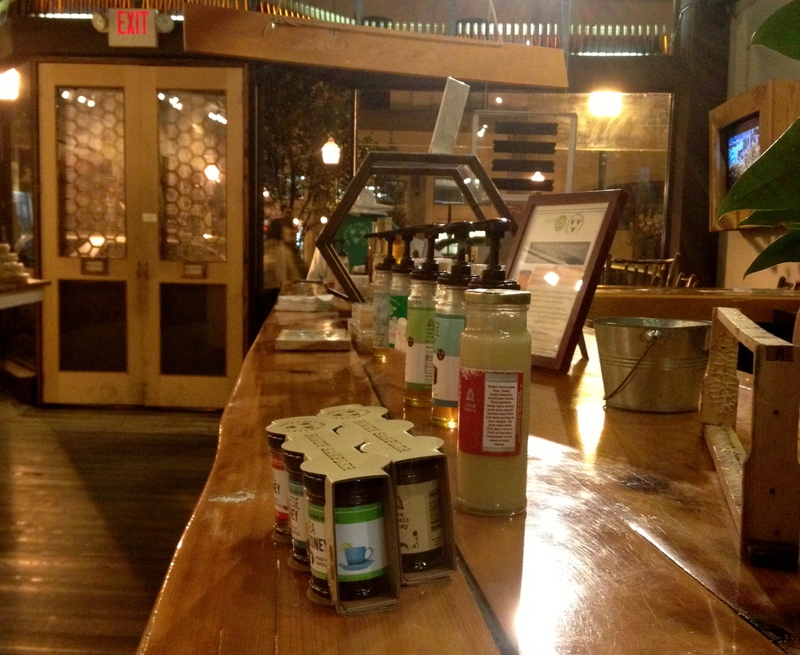 The Savannah Bee Company. 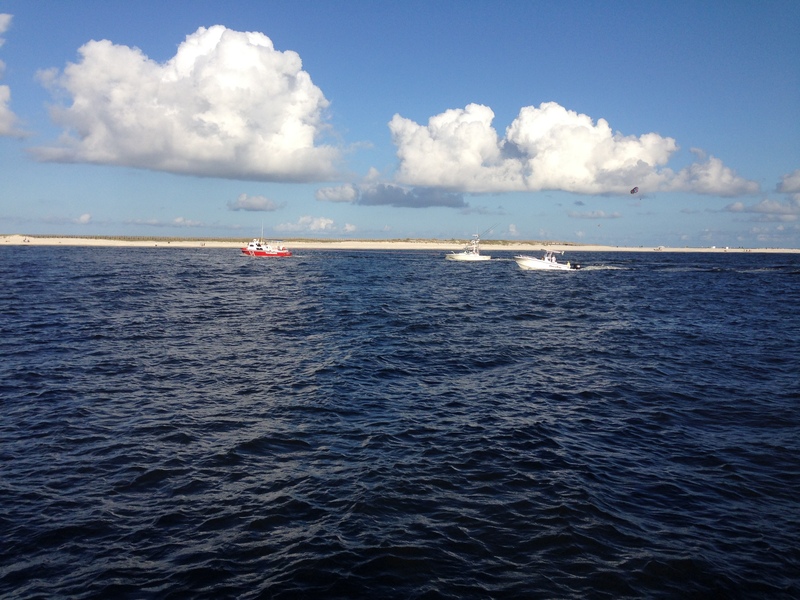 And this was the sampling station. I was extremely close to purchasing one of their shirts that said (get your music minds ready): “I’ve got my mind on my honey, honey on my mind.” Too good. 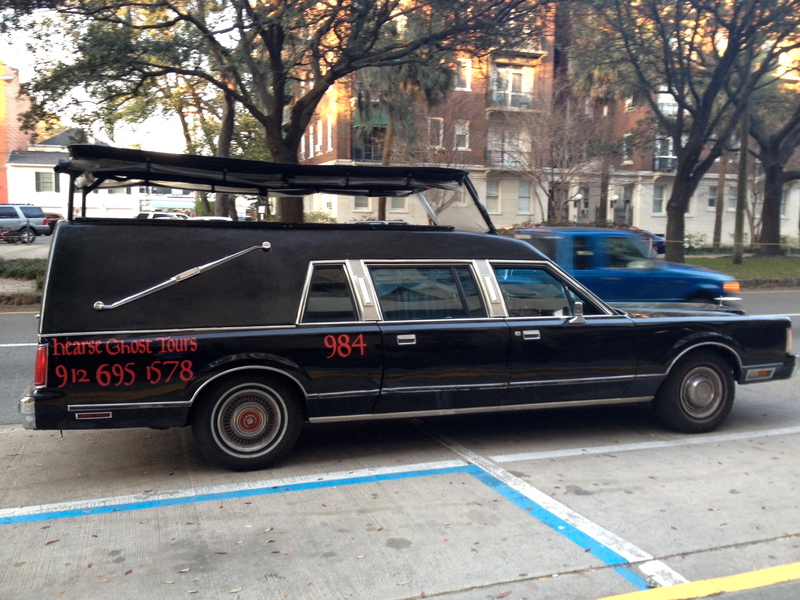 Our last night in Savannah, the three of us took a ghost tour in a 1987 hearse that, when full with six passengers, only got about three miles to the gallon. Louis, our tour guide, was wonderful and told us entertaining stories as we drove by cemeteries and the historic parts of town. Did you know that Savannah itself sits on a number of former graveyards? We didn’t either. Creepy. Have fun, Paul. As the lone female of the bunch, I also enjoyed making sure the guys had a couple of good meals that we didn’t have to go out for. On a few different nights, I cooked up pesto pasta with chicken sausage and roasted brussel sprouts, southwestern black bean salad, crockpot chicken tacos and crockpot oatmeal. Check out the recipes at your leisure. Both my sister and I have long felt that our souls belong in the south. With Paul and soon Hannah being down there, who knows? Maybe Thomas and I will find ourselves there as well. Options open. 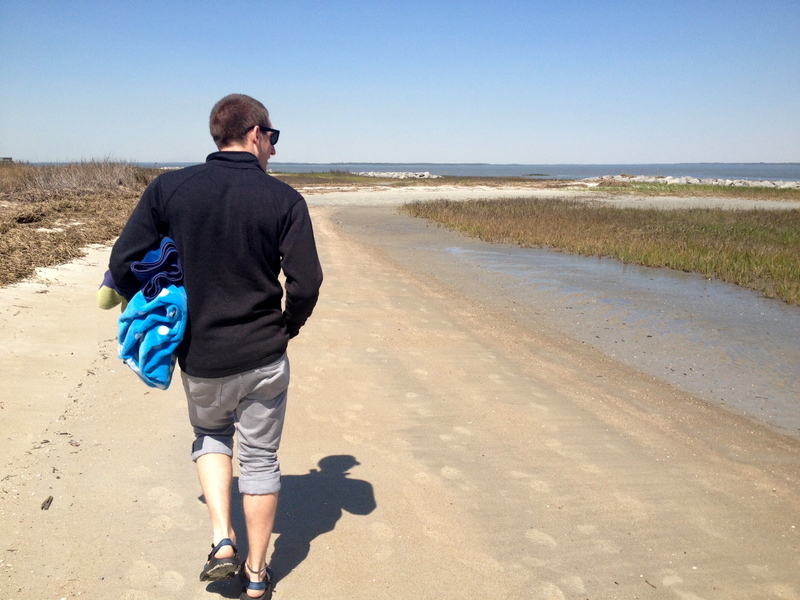 In the meantime, we’ll just be quietly jealous that spring has yet to show any signs of grace in the form of warmer temperatures, and Paul gets Hilton Head. Such is life. For now. 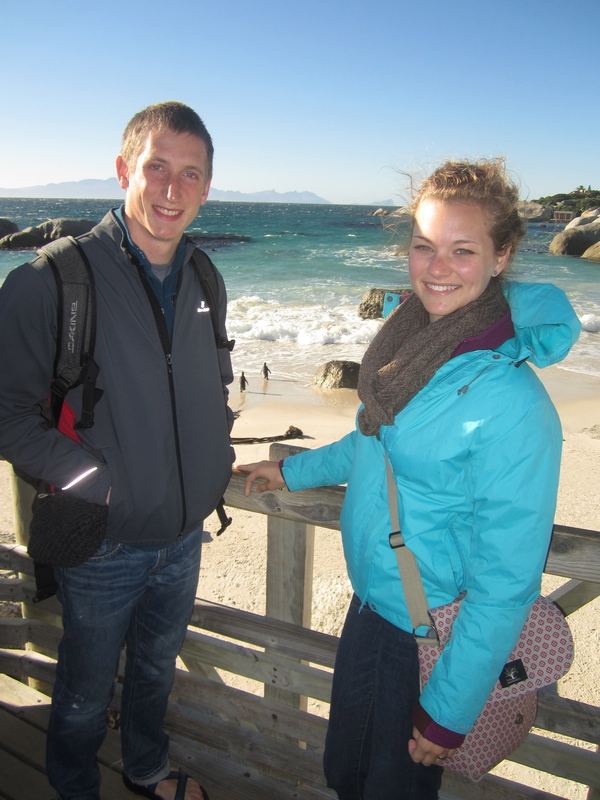 As I’m sure most of you reading this already know, Thomas and I had the most wonderful time in Cape Town, South Africa! We returned home a week ago today, and it has been a busy week of reflecting on the trip and purging all the stories and information onto our families and friends. 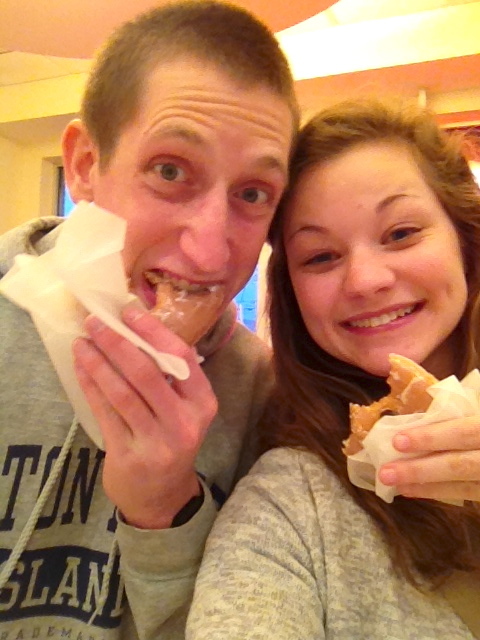 Spending five weeks in a different country was so good for us in a number of ways. Speaking for me, personally, this mission trip helped me become “un-stuck” from my comfortable and non-risky style of living here in the States. Believe me when I say I absolutely love America and am so blessed to have my home in the security of Riley. But I almost felt frustrated with myself for how I’ve rarely allowed myself to do something “out there” or adventurous. Instead, for some reason, I made myself bound to responsibility and being dependable, constant. Not whimsical or risk-taking. But on this trip, for the first time in a long time, I felt brave. I completely had to trust that God would provide the funds to get over there, I was thrown into a situation where I had virtually no control over my schedule, and I even went cage diving with sharks! It was the perfect kind of liberation from my own self that I needed. We also met a ton of neat people, including the Campus Crusade “stinters,” who are living in Cape Town for the remainder of the year to launch ministries on university campuses. We learned much from them and their example of faith, as well as the South Africans we worked with, who were so energetic and passionate. Our group also talked to many students on campus, some who called themselves Christians and some who did not. It was so cool to see God work in the conversations. Many students admitted they began questioning their faith just that week, and talking with them provided some clarity they needed. Just many instances of perfect timing. Another thing Thomas and I realized was that while we were busy making plans for ourselves, we weren’t being diligent about inviting God into those plans. Talking with the Crusade interns and staff gave us some more interesting opportunities to consider that we haven’t thought about before. We’ll be praying for direction as graduation draws closer. As I reminisce on the summer I spent in Cape Town, I’m also very excited for this coming school year and what the future holds beyond that. In addition to a class schedule that I think I’ll love (hello, Children’s Literature), I’m also beginning my new job as a writer for World on Campus, an online Christian magazine for college students. The best part is that I work from my laptop, so I can decide where and when I want to sit down and write. It will definitely be interesting to see how I manage that, as well as my second year as youth director at church. 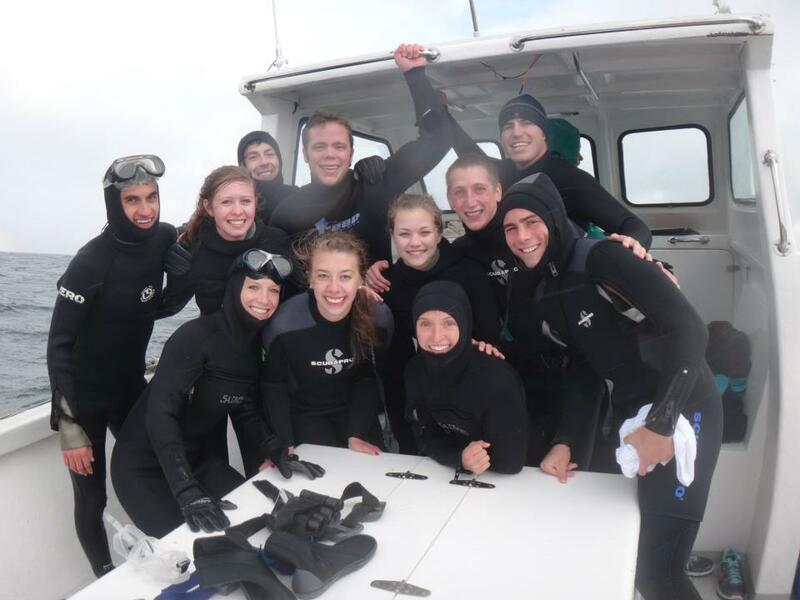 Now that my feet are wet, I’m eager to be with my middle and high schoolers for another round. If you still haven’t gotten your fill, feel free to view all my South Africa pictures on Facebook. Thanks for reading! Greetings from South Africa! Right now we are sitting outside a McDonalds and for the first time have access to internet. We only really have time for a quick recap, so here we go. We arrived in Dallas and flew 14 hours to Dubai. After an awkward 15 hour layover, we flew 9 hours to Cape Town, and by that time our bodies’ clocks were a little out of wack. We settled into apartments quickly and got to work right away. Sunday morning consisted of cultural training and visiting the township of Scottsdene to promote their holiday clubs this week (similar to VBS). We completely stood out in a place of poverty, but the kids seemed to be really excited to see us. It’s the title of a hilariously awkward movie, provokes the image of being lifted high in a balloon and represents the adventure that Thomas and I will embark on tomorrow (technically today). Over the next six-ish weeks, this blog will host everything Africa. Those who are new to this space, welcome! It is here that we will both will try to provide you a picture of everyday life in Cape Town. At this point, we are both excited, but a little nervous too, not knowing what to expect. Yet we know this is what we’re meant to do. We’re not expecting a walk in the park every day, but we are expecting change to take place within the community centers and campuses that we serve. We also anticipate being radically changed ourselves. We hope you’ll join us on this journey. Though we will have access to internet cafés, we aren’t sure how frequently that will be. Bear with us, and by the end you’ll probably be sick of our tales. Or, perhaps, not :) In which case we’ll continue to talk more. Prayers for safe travel and trust in Him would be much appreciated throughout this trip. T-8 hours. Away we go..
Who’s steering this ship, anyway? I have diagnosed myself with the complex of everything needing to be planned and orderly for me to be at peace..I’m pretty sure it’s called being human. But I have also recently discovered that I am capable of letting go. And this, my friends, is exciting. I found out almost a month ago that I will be spending five weeks of my summer in Cape Town, South Africa. Through Campus Crusade, Thomas and I will be traveling with 40 other students from around the country to assist new ministries on college campuses, share the Gospel with students and also work at a community center in a more rural area. After being accepted on the trip via phone, I just cried. I cried because I am nervous. I cried because I finally get to see another country and know people in it. I cried because I felt a freedom in taking a risk that I’ve never felt before. So now begins the support-raising, which will definitely require a lot of faith that God will provide. In other my-life-is-so-uncertain news, I currently don’t know where I’m living next year. While I did have plans to stay at home, I found out A DAY BEFORE the housing sign-up that juniors with my scholarship are not allowed to live off campus..only the seniors. So that threw a heavy wrench in things. In a mad dash to figure something (anything) out, Shannon and I signed up to live in Candlewood Suites, which is technically off-campus, but a partnership with ISU allows students to live there. However, according to the res life staff, they are not certain that the partnership will continue. Hm. And then there’s the cliche question, “What in the world am I going to do with my life?” and just as pressing, the question “Will we move away?” I don’t know at this point. But for right now, I’m really ok with that. I very much feel that God is in control and I don’t have to doubt that He can handle it. Maybe this has just been a mentally-peaceful week. Or maybe I’m learning to remember who’s steering this ship. There’s so much to say. 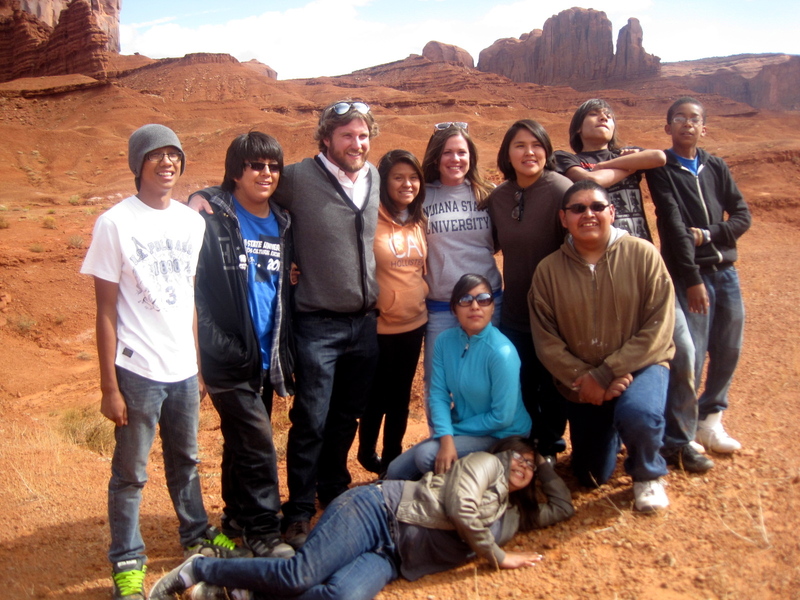 So much I learned from 4 days on a Navajo reservation and only so long to keep a reader’s attention. I know I need to keep this at a sane length, but I’m tempted to not. 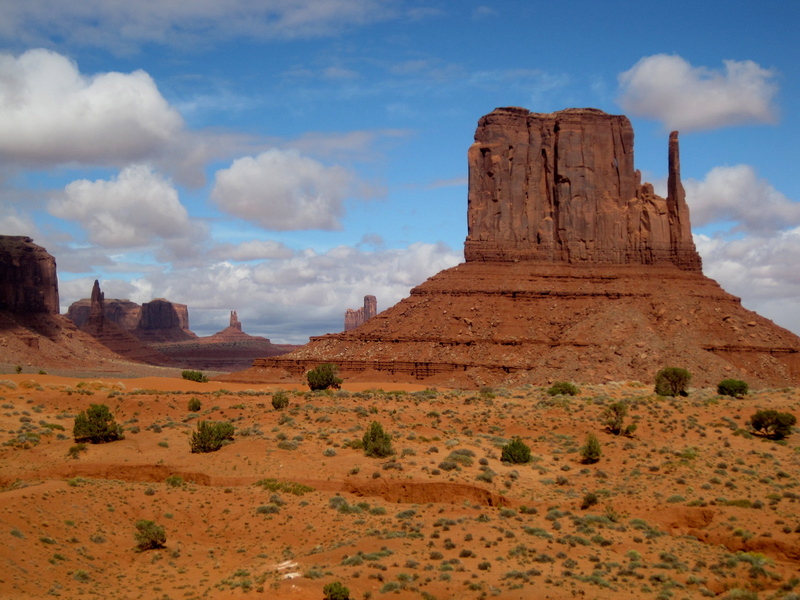 This trip to Arizona (read why I went here) certainly made me aware of another kind of poverty within the United States and how fortunate I am to live where I live, but it also gave me tons of insight about a rich culture I knew nothing about. Here are a few bits that I walked away with. 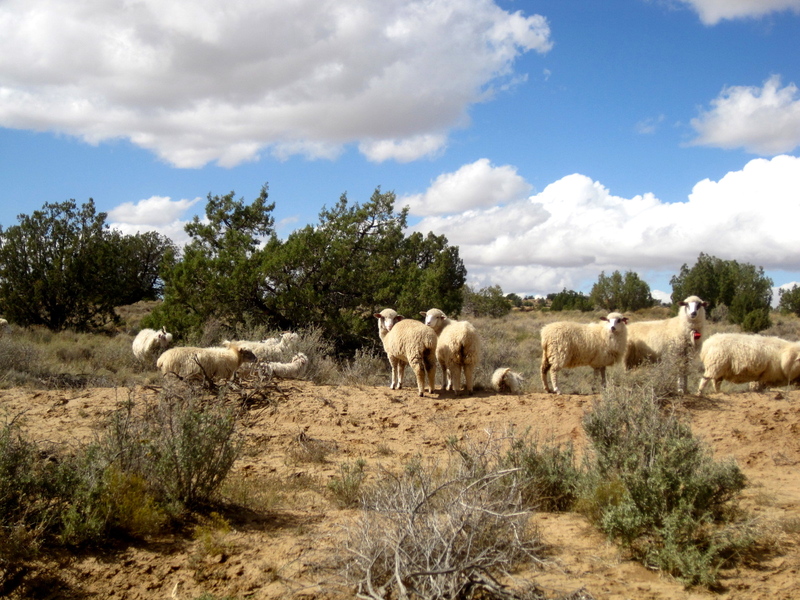 Pinon is dry. It’s brown. And dusty green. And faded red. 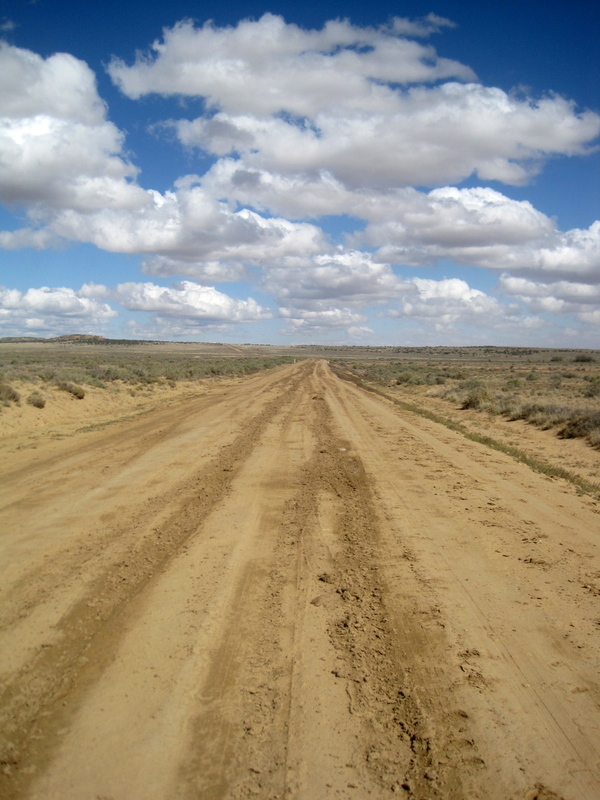 Everything is spread out, distanced by long dirt roads that stretch for miles and miles. Cows and sheep hang out on the side of the road. 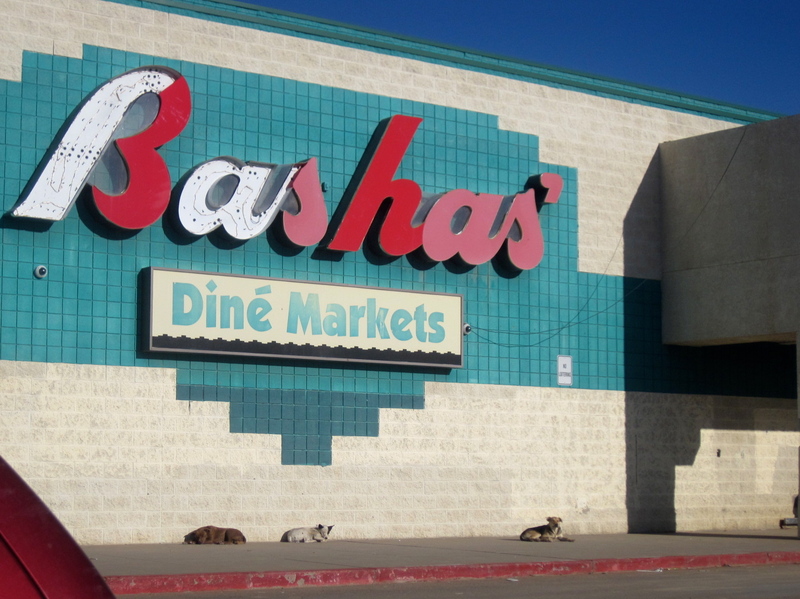 One grocery store named Basha’s, a Subway and Pizza Edge fill the only strip mall. A Conoco receives business right next door. Some houses are round hogans without electricity and running water, while others are a bit more modern (depending on how traditional the family is). Dogs meander down the road and lay in the sun in front of Basha’s. They are rez dogs, and they have no home. Yet in the midst of the poverty, there are brilliant students at Pinon High School. 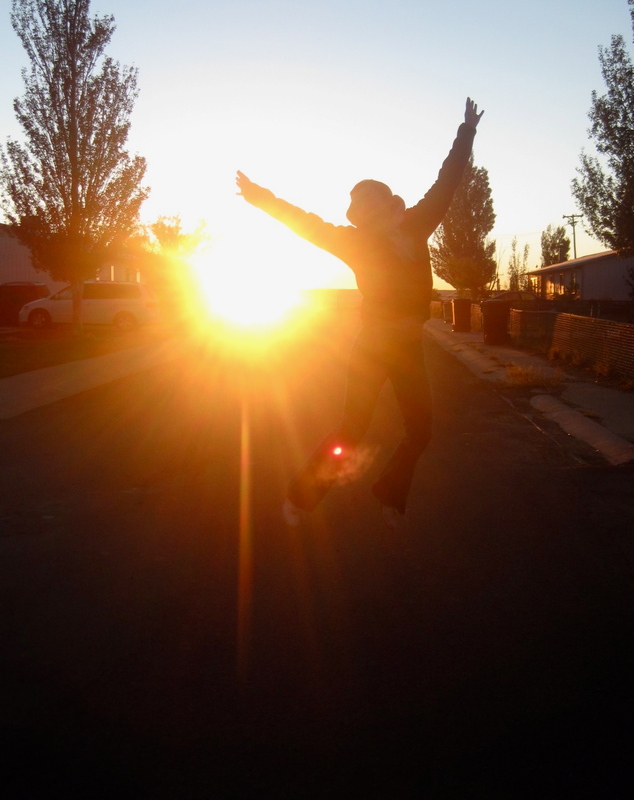 Students who are confident they have something to offer and know that their life has options. These students are thoughtful, kind, so endearing and wise beyond their years. We had the chance to talk to the juniors and seniors at a question and answer panel, where they asked us about everything college-related. They’re curious. 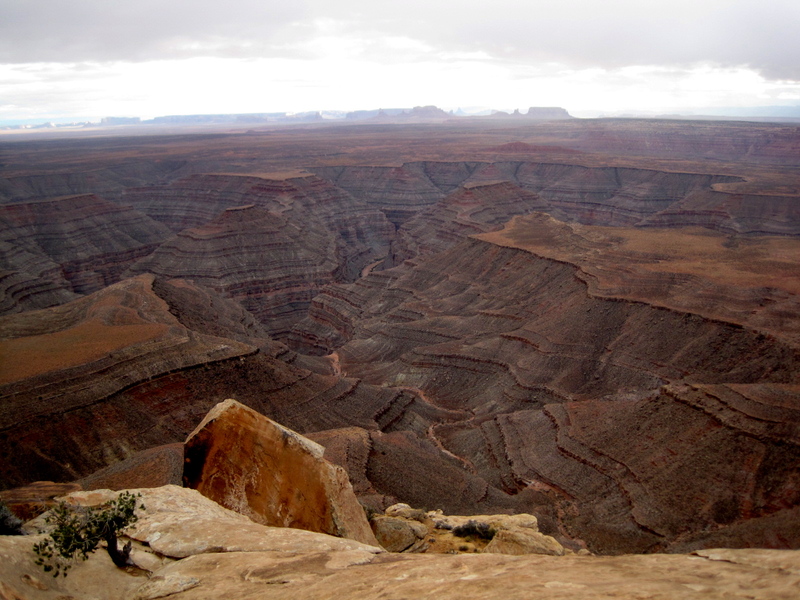 And they’re faced with this internal struggle because they want to honor their families and their Navajo culture, but strive to dream outside the scope of the reservation. They’re torn between tradition and limitless possibility. 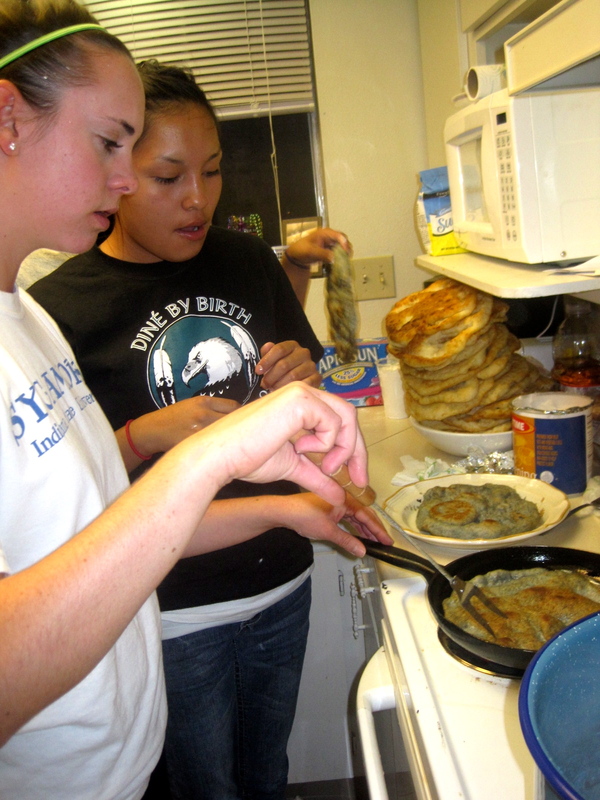 We learned how to make fry bread. 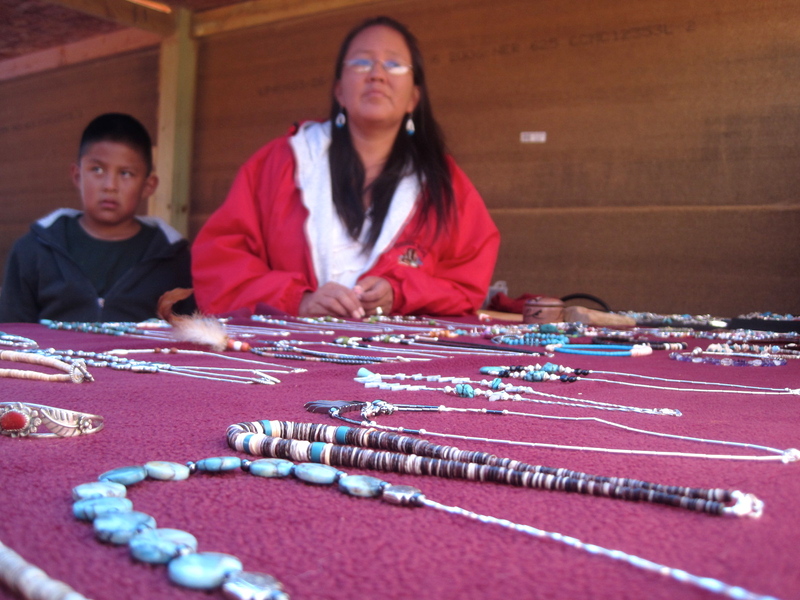 We stopped at the Chinle Flea Market and EVERY jewelry stand we could find alongside the road. 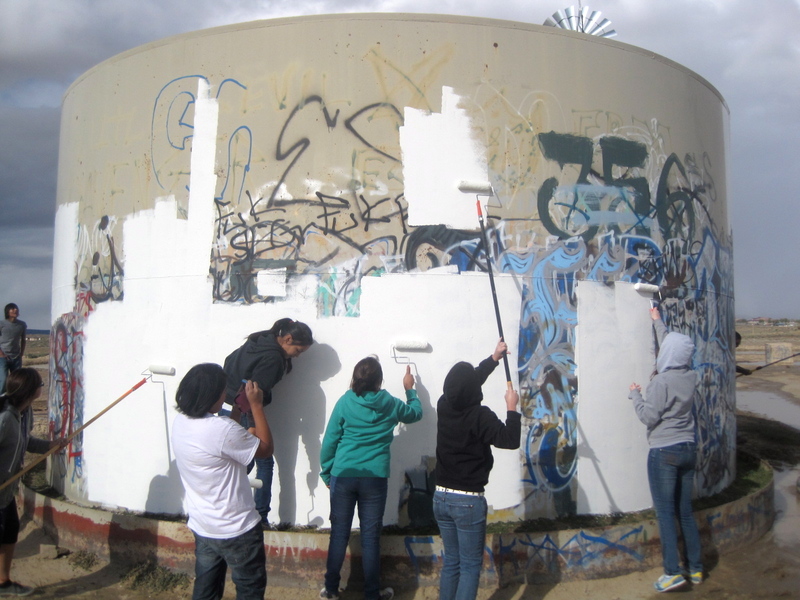 We painted a water tank. This trip got me outside of my comfort zone, which I’m confident is a great thing for my control freak personality :) Feel free to click here for more of my photos on Facebook, or visit the ISU gallery here. And thanks for reading. I sure do appreciate it. I think it’s a good sign that I’ve been itching to write another post. I feel like you people are holding me accountable here. Or maybe it’s just my conscience. Whichever, I must get down on paper here the story of my beloved Mac that was stolen. But before I tell you that story, I must tell you this story. I have been participating in a cross-cultural education seminar through the Honors Program, and we look at issues of poverty and cultural differences in education. Bet you could have figured that one out. Anyway, we’ve visited a charter school in Gary and we also hosted a group of Navajo students from Arizona earlier this spring. So last week we went out to Pinon, AZ for four days to visit them in return. 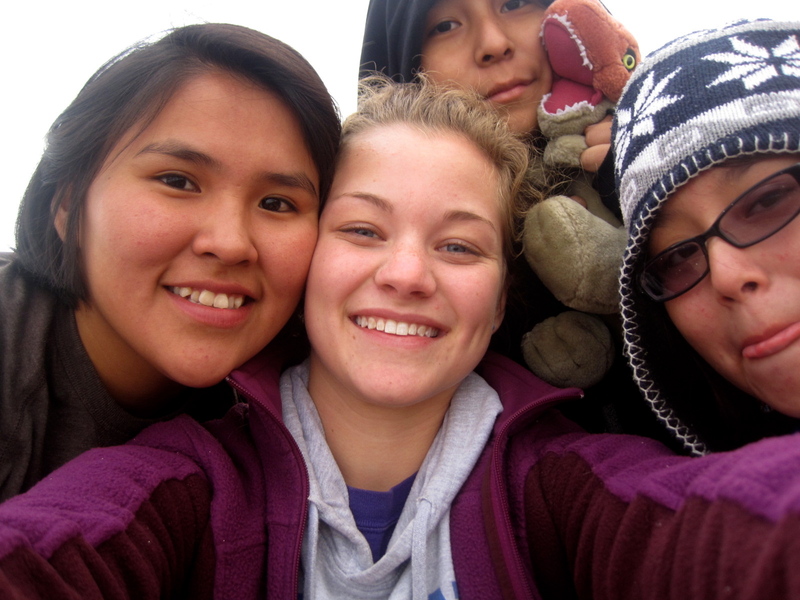 Me and two other girls stayed at a teacher’s house very close to the school. We borrowed her house key to go relax for a few hours before the next group activity, and upon entering, we knew something was off. There was a trail of mud on the ground, and I looked directly to the wall where I had placed my backpack earlier that morning. It wasn’t there, and instead I saw it completely empty with all the zippers open and thrown into the corner. Another girl’s clothes were dumped out of her bag on the opposite end of the room. It was clear the guy ransacked the place as quick as he could, taking two laptops, two iPods (one of them mine as well) and an iHome, cell phone, and some sentimental jewelry, all belonging to the teacher. We went outside the house and called a professor on the trip with us who was staying just up the road. What ensued was about a two-hour ordeal of missing-item lists, questions, police visits and breaking the news to the teacher, who showed up about a half hour after we did. Our stuff was replaceable (minus the jewelry), but it was our security that we were concerned for. I live comfortably. I’ve never had to worry about break-ins or safety issues because my home is cush. I was seriously shaken, and I also felt like a weenie because these kids in Pinon deal with this regularly. I felt like a weak, vulnerable Anglo.